APPLY FOR THE BOARD of the tenderloin community benefit district. click here to apply. Serving on the Board of Directors is a rewarding volunteer opportunity. As a member, individuals have the opportunity to help navigate and oversee the organization’s mission and goals for the district and community. To serve as a Board member, individuals must be a property owner (7 seats), business owner (3 seats), resident (3 seats) within the District boundaries, or an 'at-large' (2 seats) representative. 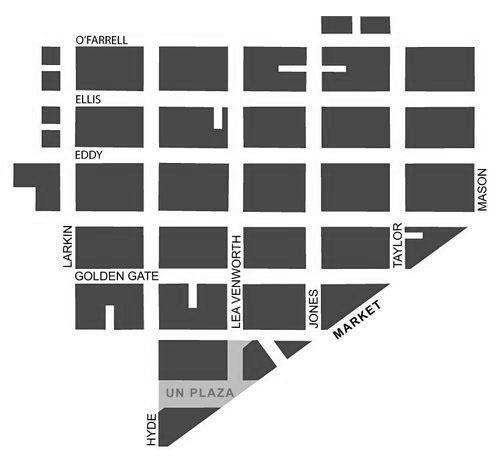 ‘At-Large’ seats can be resident, business owner, property owner, or community member (not bound by district boundary) serving to further the TLCBD's Core Purpose of Leading the evolution of the Tenderloin into a vibrant community for ALL. A TLCBD Board Member is committing to at least 4-6 hours of their time to the TLCBD per month, for a two-year term. In addition to participating in monthly meetings, Board Members are expected to review important documents in advance of meetings and to volunteer for special projects or to serve on Ad Hoc Committees. We expect regular attendance at the monthly Board meetings and a minimum of one monthly Committee meeting. Occasional absences are to be expected; however, in order to complete the work of the Board and to respect the time of your fellow Board Members, we rely on advance notice for any absence and keeping any absences to a minimum, and never more than 3 within a year. July 22, 2019: Board elections held. Each currently seated board member shall have one vote. Votes must be cast in person. The candidate receiving the highest number of votes in each category shall be elected. To request a PDF version of the application, please email Simon Bertrang at simon@tlcbd.org or stop by the office for a paper copy of the application.